Explosive data growth has made managing storage increasingly difficult. Storage professionals have turned to complex storage solutions that take up much of their valuable time. How can you manage data without sacrificing time and resources? 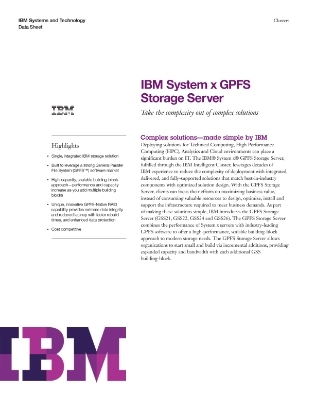 Access this white paper to learn about an easy to use complex storage system that increases capacity, performance, and scalability.